It's been quite a while since my last letter to you. Ogenki desuka? 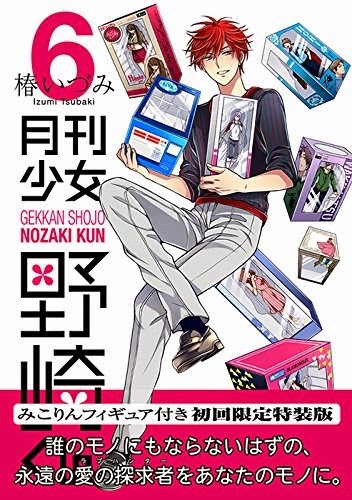 Firstly, a big congratulations on having your own cover art in the latest release of Gekkan Shoujo Nozaki-kun! You look so arrogant...I mean, cool posing with those boxed figurines. A closer glance yields a bigger surprise - your friends and acquaintances have turned into those figurines! 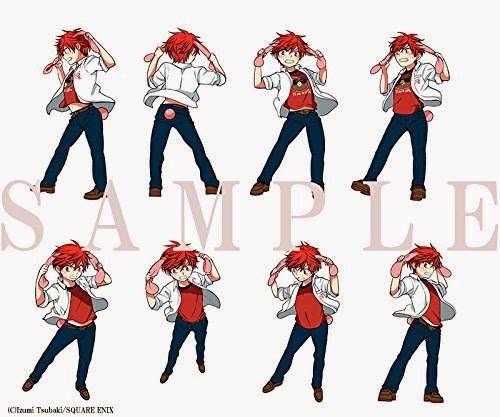 Let's see...there's Nozaki-kun (Ume) donning a pair of bunny ears and looking just as dashing. Kashima, Chiyo and Yuzuki form the Romance Girls trio over what looks suspiciously (?) like a bar of chocolate. I mean, that looks awfully like Toberone. Maybe I'm subconsciously craving for some chocolate. Anyway, Wakamatsu and Hori-senpai also have their very own figurines which more or less sums up the entire gang...erm, why is your face reddening? Oh, I beg your pardon. Nope, I haven't forgotten about you Mikorin. Yeah, I know...I'm getting there! Yeah, even Miyamae has a figurine complete with a tanuki. Okay, let me just sort out some things. The sixth tankoubon of Gekkan Shoujo Nozaki-kun has another surprise which is also related to you. Relax, I'm getting there. The Special Limited Edition comes with an actual (yeah actual) boxed figurine of...YOU! Yeah, like I said I haven't forgotten about this biggest surprise which I honestly didn't expect would be available over here. You see, according to the series' official website and such, your figurine had to be pre-ordered online through the available platforms. As I don't reside in Japan, I didn't think that I would be able to buy one as a lot of manga and anime-related merchandise are domestic only. Imagine my shock (yeah I was shocked) and eventual excitement when I stumbled upon the Special Limited Edition at Books Kinokuniya! I knew right away that I simply had to get it. So thank you, Mikorin...for crossing the international waters! 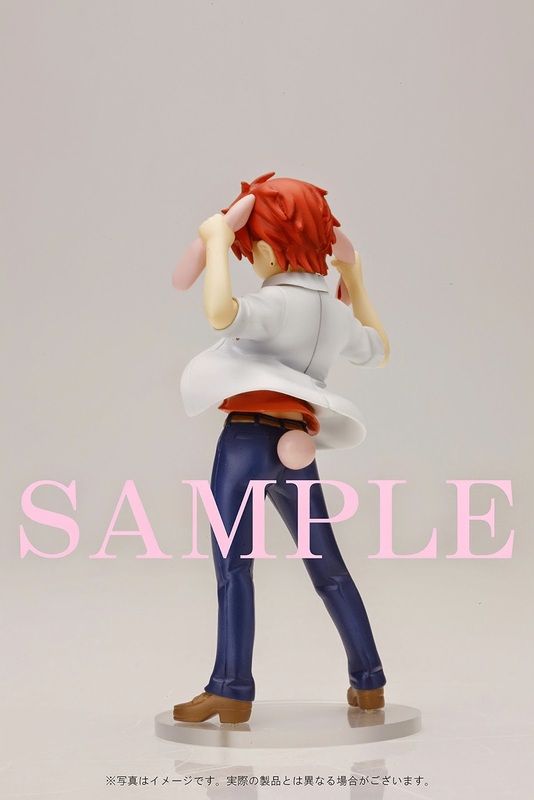 Your figurine stands at only 10 centimetres. Nope, I'm not really complaining since every detail has been finely incorporated into the design. 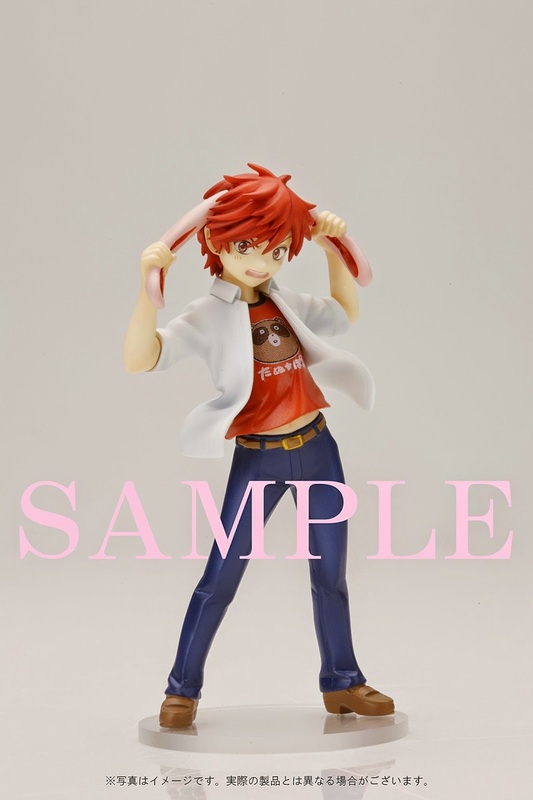 The strikingly beautiful red hair, the little studs that you wear on both ears, the never buttoned-up uniform, the red tee (for the figurine it's a Tanupon! ), long pants, shoes...bunny ears and a tail. The little plastic platform bears a tanuki and your name together with the series' title. However, I can't quite comprehend the facial expression - are you supposed to look aloof or something? Angry? "Argh!! I'm so pissed off right now!! PULL!!!" No? Anyway, I love the overall design and its implied statement, if any. Yes, it is also very cute. You can stop pouting now. 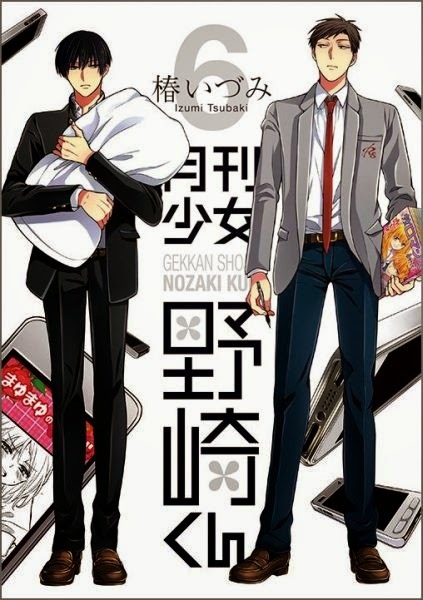 Oh, I just realised that there is a second cover featuring Nozaki-kun and his younger brother Mayu. Is that supposed to be the normal edition? Well, that isn't really important. There is a little colour insert which includes a special conversation between Nozaki-kun and Kurosaki Mafuyu, who is the protagonist of Oresama Teacher (another series by Tsubaki Izumi). The back pages also feature a step-by-step explanation of how your figurine came about, and a couple of comic strips! I must say that this is one hell of a combo! I'm so glad to have stumbled upon the Special Limited Edition. While I don't really collect figurines and such, I do welcome your addition to my...table. I wish you well. Ogenki de. 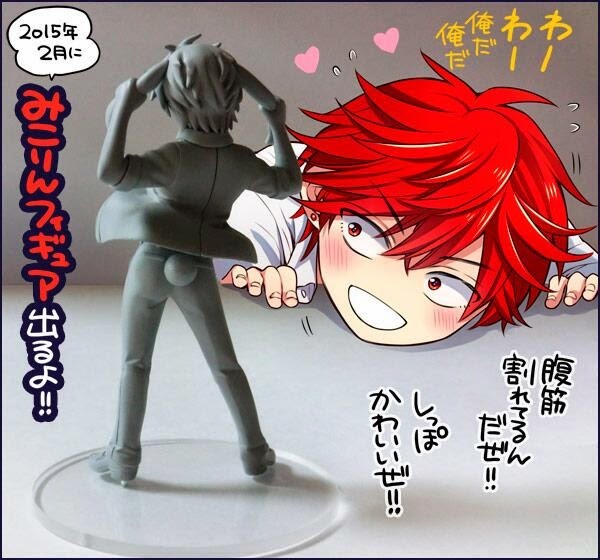 No Comment to " A Second Letter To Mikorin "